Commercial Opportunity for the Right Investor. 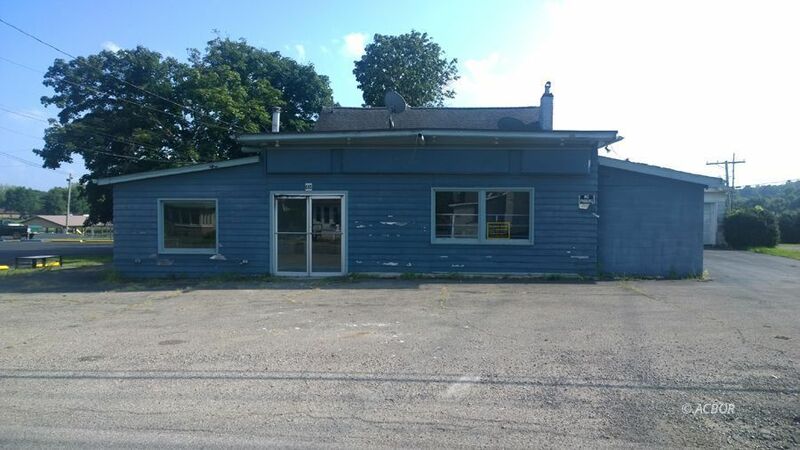 Commercial building conveniently located with easy access to US SR 33, bordered on one side by the Moose Lodge and the other by a sizeable apartment complex. This commercial opportunity is in an ideal location for the right investor. Once a carry out with a walk in cooler and newer compressor, this 960 square foot storefront with an attached, 2 bedrooms, 2 story apartment, including a 24x26 detached garage for additional income could add to your rental portfolio. The apartment is in good shape with recent renovations and there are at least 10 parking spaces. Roll up your shirt sleeves and start reaping the profits.